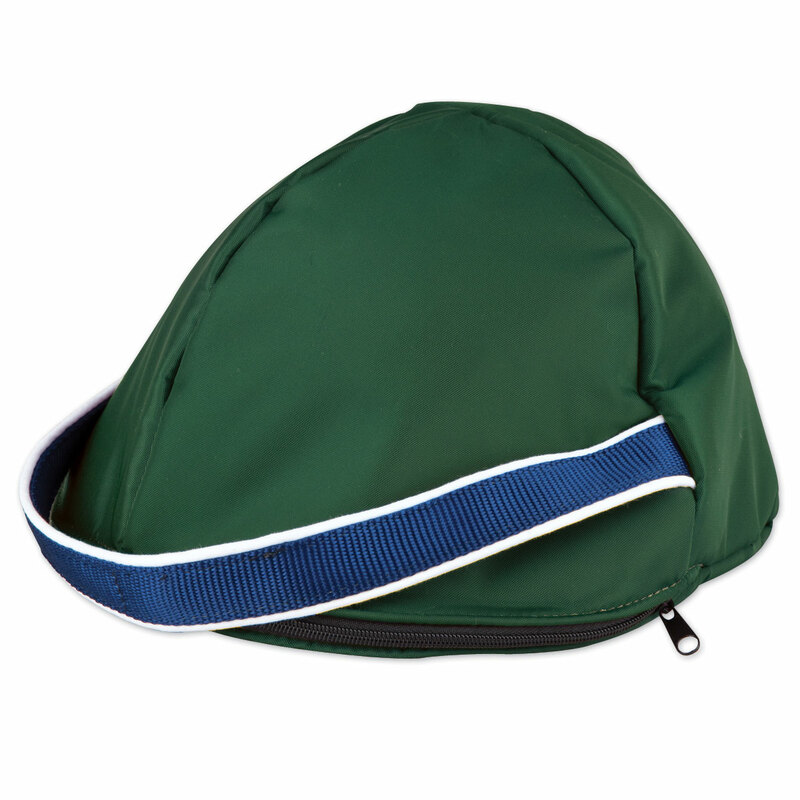 The SmartPak Helmet Bag features 400 denier and Cordura nylon helmet bag fits most SEI/ASTM helmets. Rugged, water-resistant exterior and plush, lined interior that cushions and protects. A practical solution that serves as a finishing touch to an elegant presentation. SmartPak Helmet Bag is rated 4.5 out of 5 by 29. Rated 5 out of 5 by Robinb from The perfect helmet bag I was not happy with the thin bag that came with my helmet. This is perfect; the color, personalized and a handle. I love it! Rated 4 out of 5 by dmarie485 from Good product I just got this helmet back in Black white and red, the red is pretty orangey, wish it were more of a true red. The quality seems pretty good so far. It definitely fits my helmet, it just goes in sideways instead of front to back like my old one, just something to get used to. Rated 5 out of 5 by SusanW from SmartPak Helmet Bag Instead of collecting dust as I store my helmet in my tack box, I decided to buy an easy to take on/off helmet cover. Worked for me! Rated 3 out of 5 by Meri from Okay This had thinner padding than I'd hoped. Returned it. Rated 5 out of 5 by caliRN821 from Exactly what I wanted! Bought this looking for something that fit well, easy to use, and durable. This is it!! Rated 2 out of 5 by Jessica c from Great material! But too small . I absolutely love smartpak ! Wish they made the helmet bag a little bigger so my schooling helmet could have a better fit . Rated 1 out of 5 by PoorPony2 from Tight Fit I returned the helmet cover. It was to small & a work out getting my helmet in the bag! Rated 4 out of 5 by dressagereiner from simple Simple and easy construction. In my particular situation (Christmas ordering), the order was delayed for significant time - and we are still waiting on the matching saddle cover (ordered both for barn teenager receiving her first saddle for Christmas). No huge disappointment, but timing was a mild issue. For the price, you could consider the upgrade of custom colors (separate order). And finally, the variations of a hard sided case vs this one may be an individual deciding factor. Rated 5 out of 5 by JadeHill from Nice Helmet Bag! Well made and colors are great. Also had it monogramed. They did a great job! Rated 5 out of 5 by Caroline from Nice, Quality Product! Another nice quality product from Smartpak with a monogram!